Any alteration you make to your home makes a difference: that's what spurs us on to make improvements. We spend lots of time out or at work but we also spend a large chunk of our lives in our homes and whether it's rented or owned, it's only natural to aim to make our own space as comfortable and enjoyable as possible. The last time you did a spot of decorating (or you were lucky enough to get someone to do it for you!) you'll have been surprised by how a change of wall colour or covering can make to a room or what a difference a new window-dressing treatment makes but there's also one very, very big difference you can make to your home: flooring. 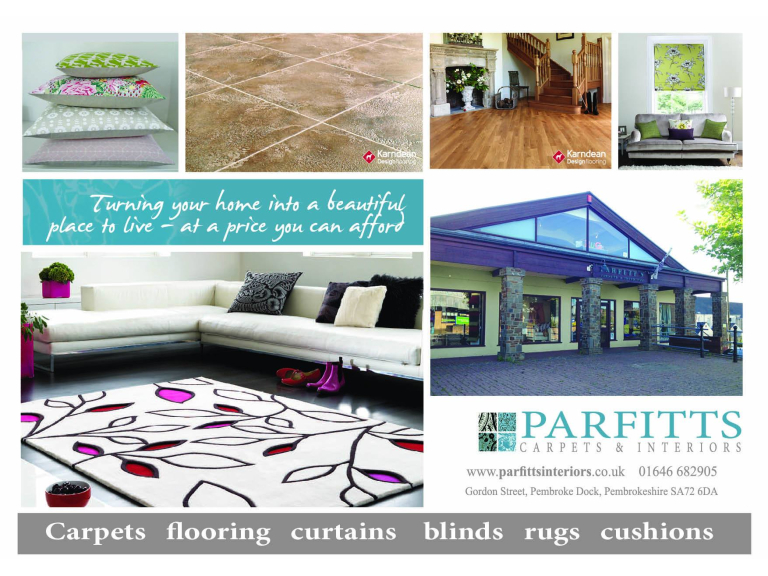 Parfitt’s of Pembroke Dock are your local experts to speak to when you're considering a change of flooring or carpet. Laminate floorings have seen a massive surge in popularity over the last 15 years and it's paved the way – if you'll pardon the pun – for high-end linos and wood-effect coverings to join the market. 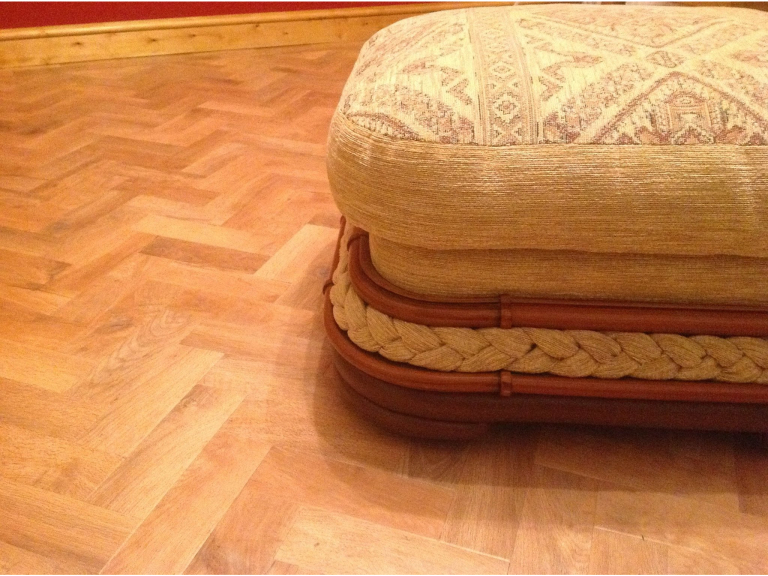 The Karndean flooring range is incredibly popular and varied and has many benefits over real wood. Although it's expertly shaded and toned to look like the real thing, it's carefully treated and coated so that it has the hygiene benefits that natural wood doesn't; in being waterproof, it can't absorb spills or accidents and dust can't settle in nooks and crannies which is a boon to all, especially those with small children or animals. It can even be used with underfloor heating and is a great choice for high-traffic areas or those looking for a clean, uncluttered minimal or scandi-chic look. Parfitt’s also have an extensive range of luxury carpets for those rooms that you'd like to make a little softer underfoot or hardwearing Berbers for the rooms that see a lot of living! Even if you're not changing from carpet to wood or vinyl flooring (or vice versa), never underestimate the difference that a change of flooring colour makes to a room: if you've had something patterned, your room will look as if it's had a complete makeover with either a smart, plain carpet or a vinyl treatment. Like the idea of wipe-clean flooring but worry it will seem cold? Not at all – a good rug really pulls the colour scheme together in the room and gives you the luxury of hygienic flooring with the ease of being able to remove it for cleaning should that be necessary. Also, don't forget it's not such a commitment palette-wise – change your colour scheme and the room doesn't need a major overhaul and Parfitt’s has a great selection of rugs of all shapes, colours and sizes so there's bound to be something that will suit your home and budget whilst making the room look fresh and rejuvenated. See in the New Year with a major change at a minor cost and walk into 2016 with style!